I've combined two challenges to make this simple, masculine birthday card. First, Colour Q, where the challenge is to use black,grey, white and one spot of colour (I choose to believe in this case that 'happy' is one word, not 5 letters!). I chose my new favourite green - MFT Limelight. 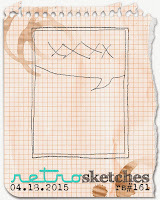 And Retrosketches - a lovely simple sketch perfect for a graphic, masculine card. I hope that the letters (WPlus9 die) hanging over the grey/white border can count as the tail on the thought bubble. I finished it with a little Simon Says Stamp 'Birthday'. Loving that green. I can see why it's your favorite. This is such a great color combo! I love the "happy" in green. (And what a green it is! I'll have to check that out)! 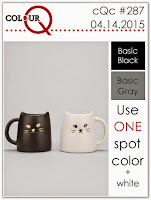 So glad to see you at colourQ! Ardyth...this is so sweet. I love the clean look of your fabulous birthday card and those colors are so perfect. Thank you so much for playing along with us at ColourQ, hope to see you again next week! Ardyth, I like you use the sketch! And color combination is gorgeous: lime green with grey combines perfectly! 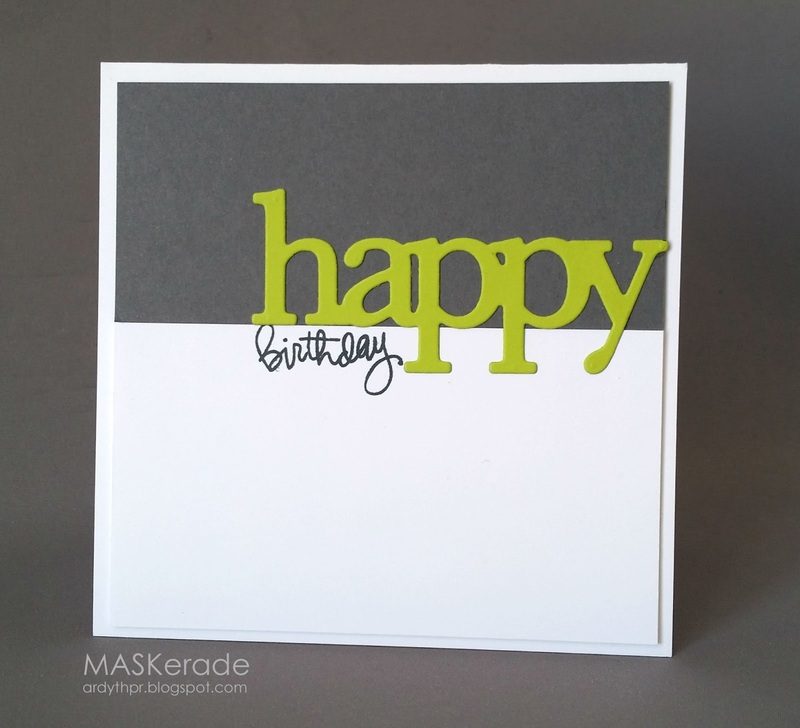 Love your color blocking on this card, and the contrast in fonts between the happy and birthday. It works so well. Ka-pow Wow! Fabulously masculine, bold and graphic! I can see why you love Limelight - it's gorgeous! In my humble opinion, I'd say you met both challenge requirements perfectly! Love it!! What a terrific shade of green. Thanks so much for joining us at ColourQ! So clean and so perfect! wow is right!! perfect clean and awesome!! thanks for playing with us at retro sketches!! I love this card it works perfect for the RetroSketches challenge! It works perfect for both challenges!! Be sure to visit my blog too! Oh these colors! And I love that little sentiment nestled in there.